Serving DuBois PA, Sykesville PA, Houtzdale PA, Clearfield PA, Reynoldsville PA, Brockway PA, Brookville PA, Summerville PA, St. Marys PA, Emporium PA, Johnsonburg PA, Ridgway PA, Wilcox PA and all other surrounding areas. 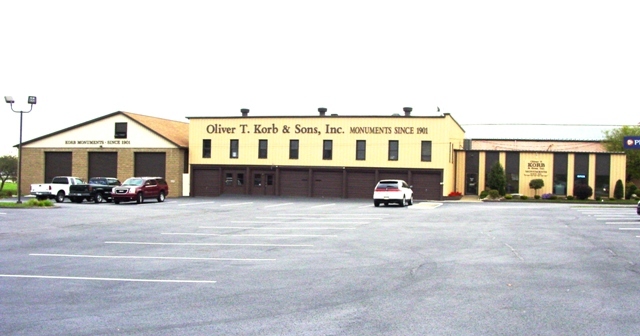 We have been family owned and operated by four generations of Korb’s for 118 years. 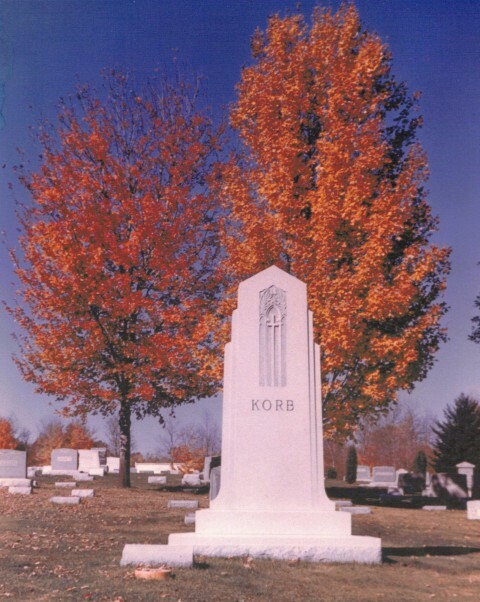 Korb Monuments provides tombstones cemetery headstones, cemetery monuments, cemetery memorials, bronze grave markers, granite cemetery grave markers, family mausoleums, community mausoleums, community cremation columbariums, family cremation columbariums, granite cremation monuments, granite cremation memorials, granite cremation benches, cremation tombstones, bronze plaques, bronze vases and granite vases.